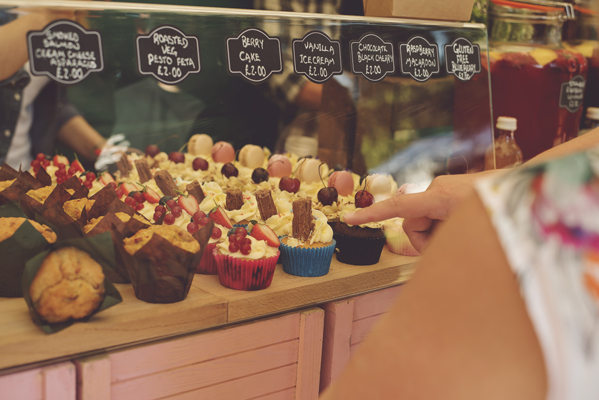 The Droitwich Spa Festival was first set up in 2013 and has quickly become a leading foodie festival in the Midlands with over 100 exhibitors and an estimated 15,000 visitors. Last year we won our category “Best Community Festival and Event” which we were thrilled with and it couldn’t have happened without our exhibitors and visitors, so thanks everyone! The Droitwich Spa Food & Drink Festival takes place this summer in the Lido Park Droitwich Spa. We have exciting news which will put this year’s event on the map as we will be merging with the Droitwich Spa Salt Festival which will make our festival a full two day event. The Droitwich Food and Drink Festival featuring “Salt Day Sunday” will be held on Saturday 22nd and Sunday 23rd June 2019 in the Lido Park, Droitwich Spa. This two day event will be a carbon copy of each other bringing all the food and drink stalls and demonstrations, entertainment music as seen on the Saturday, you will be guaranteed the same full day on the Sunday no one will leave disappointed. The extremely popular Droitwich Spa Food and Drink Festival will be celebrating the very best of food and drink available from the local area. The park will be packed with market stalls and street food a great chance for everyone to enjoy the delicious local produce. A perfect chance to enjoy a day out with friends and family packed full of delicious food and drink there is something for everyone at this food and drink festival. A Chilli Eating competition will end the day on the Saturday where visitors can enter this years Chili Eating Competition Droitwich Spa 2019. Sunday Salt Day will bring together the heritage of Droitwich Spa with demonstrations from all our local producers and businesses. A family day with a repeat of Saturday with over 100 exhibitors, watch out for the children’s and young child in all of us featuring on both days An “Assalt” course this will be Epic! Please visit the pages on this website and if you need any further information please do not hesitate to contact us. A full selection of photos (sponsored by SN Financial) from previous festivals can be seen on our photo gallery. Our Vision is for the Droitwich Spa Festival to be regarded as one of the best family-friendly Festivals in the Midlands attracting people to the town, its facilities and attractions. Droitwich Spa is a great place to stage and run such a Festival – We have the perfect history and heritage – Salt. Going back to Saxon and Roman times Droitwich has been famous for Salt and Salt and Food are perfectly connected. Salt to preserve food and to enhance the taste. Droitwich is surrounded by some of the best quality food and drink producers in Britain – as well as our own producers in Worcestershire, we have some excellent food and drink producers in the surrounding counties of Warwickshire, Gloucestershire, Herefordshire, Staffordshire and Shropshire. Centred between Bromsgrove, Redditch, Kidderminster, Stratford-upon-Avon and Worcester we really are at the centre of England’s Foodie Heaven and we are geographically perfectly placed to attract many visitors. Don’t just take our word for it – here’s what some of the exhibitors and visitors said about last year’s Festival.